The first recorded examples of medical diagnosis are found in the writings of Imhotep (2630-2611 BC) in ancient Egypt (the Edwin Smith Papyrus). A Babylonian medical textbook, the Diagnostic Handbook written by Esagil-kin-apli (fl.1069-1046 BC), introduced the use of empiricism, logic and rationality in the diagnosis of an illness or disease. Traditional Chinese Medicine, as described in the Yellow Emperor's Inner Canon or Huangdi Neijing, specified four diagnostic methods: inspection, auscultation-olfaction, interrogation, and palpation. Hippocrates was known to make diagnoses by tasting his patients' urine and smelling their sweat. The resultant diagnostic opinion by this method can be regarded more or less as a diagnosis of exclusion. Even if it doesn't result in a single probable disease or condition, it can at least rule out any imminently life-threatening conditions. An "exhaustive method", in which every possible question is asked and all possible data is collected. The plural of diagnosis is diagnoses. The verb is to diagnose, and a person who diagnoses is called a diagnostician. The word diagnosis /daɪ.əɡˈnoʊsᵻs/ is derived through Latin from the Greek word διάγνωσις from διαγιγνώσκειν, meaning "to discern, distinguish". ↑ See List of medical abbreviations: D for variants. ↑ "Edwin Smith Papyrus". Retrieved 2015-02-28. ↑ Jingfeng, C. (2008). "Medicine in China". Encyclopaedia of the History of Science, Technology, and Medicine in Non-Western Cultures. pp. 1529–1534. doi:10.1007/978-1-4020-4425-0_8500. ISBN 978-1-4020-4559-2. ↑ "What Would Hipocrates Do?". Retrieved February 28, 2015. 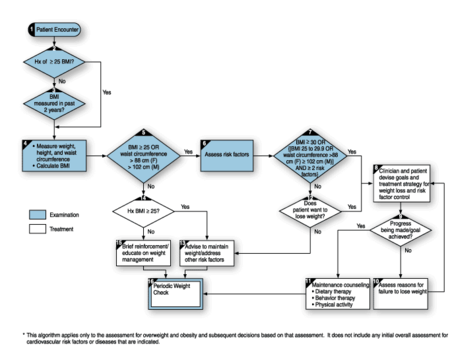 ↑ Thompson, C. & Dowding, C. (2009) Essential Decision Making and Clinical Judgement for Nurses. ↑ "Diagnostic errors are leading cause of successful malpractice claims". The Washington Post. 2012-04-30. Retrieved 2016-10-31. ↑ Johnson, P. E.; Duran, A. S.; Hassebrock, F.; Moller, J.; Prietula, M.; Feltovich, P. J.; Swanson, D. B. (1981). "Expertise and Error in Diagnostic Reasoning". Cognitive Science. 5 (3): 235–283. doi:10.1207/s15516709cog0503_3. 1 2 Chan, K. W.; Felson, D. T.; Yood, R. A.; Walker, A. M. (1994). "The lag time between onset of symptoms and diagnosis of rheumatoid arthritis". Arthritis and rheumatism. 37 (6): 814–820. doi:10.1002/art.1780370606. PMID 8003053. ↑ Treasure, Wilfrid (2011). "Chapter 1: Diagnosis". Diagnosis and Risk Management in Primary Care: words that count, numbers that speak. Oxford: Radcliffe. ISBN 978-1-84619-477-1. ↑ WebMed Solutions. "Connection between onset of symptoms and diagnosis". Retrieved 15 January 2012. Look up diagnosis in Wiktionary, the free dictionary.